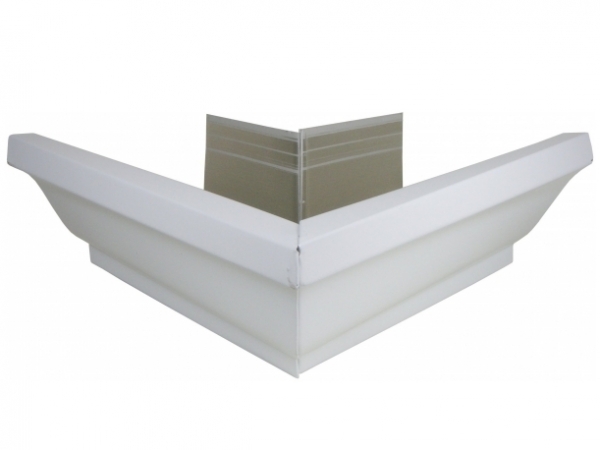 Outside Box Miters are the corner pieces made up of two pieces of gutter that are seamed together. These are the contractor favorite because they look good and are fast and easy to install. Good for 90 degree corners. Outside Box miters should be riveted to the gutters and sealed with 12-1 Ruscoe Seam Sealant. Available in aluminum, copper, galvanized, and lead coated copper in both 5" and 6" sizes.